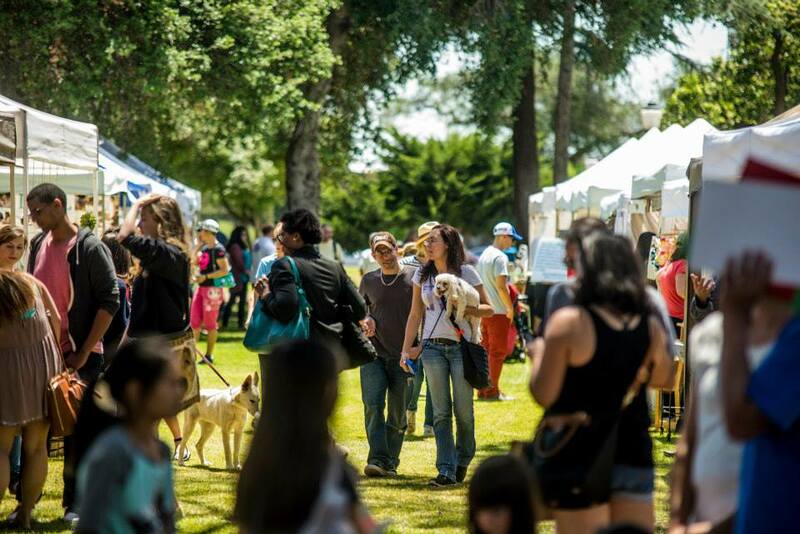 Information for vendors and exhibitors on Pasadena fair details. Why apply as an Early Bird?! Early Bird accepted artisans are given first choice at booth location within the fair. Apply anytime during our early bird application window to take advantage of this. Selected Early Birds: your booth location selections are reviewed as soon as your booth payment is made. We respect your privacy and will not shared your information with third parties. Jackalope Arts is a strictly handmade, high quality artisan event. What types of vendors will be exhibiting? 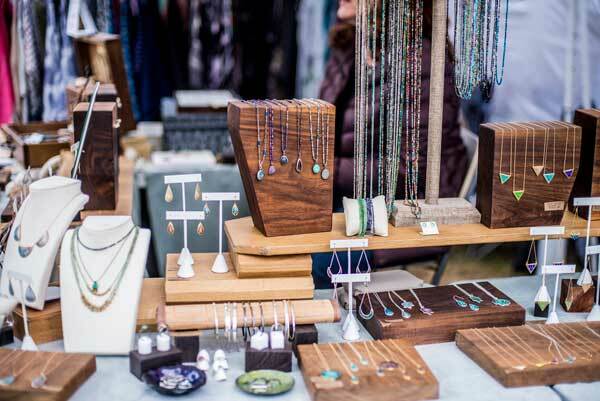 We will be accepting handmade designs into the fair, including: visual art, fashion design, accessory design, bath and body care, home decor, housewares, food and more. No vintage or resale items will be permitted. We are looking to feature original designs and handmade goods made by the artisan who will be showcasing during the event. Manufactured goods are permitted as long as they are your original concept. How does your jury process work? Meet our Pasadena Jury Panel HERE. Our jury reviews applications and scores them based on quality, aesthetic, originality, branding, and sell-ability. Read more on our BLOG. STATE Requirements: All vendors must have a temporary or permanent CA seller’s permit by the time you vend with us. See California Board of Equalization website for more information. CITY Requirements: The City of Pasadena requires a Special Event Permit for each participant. 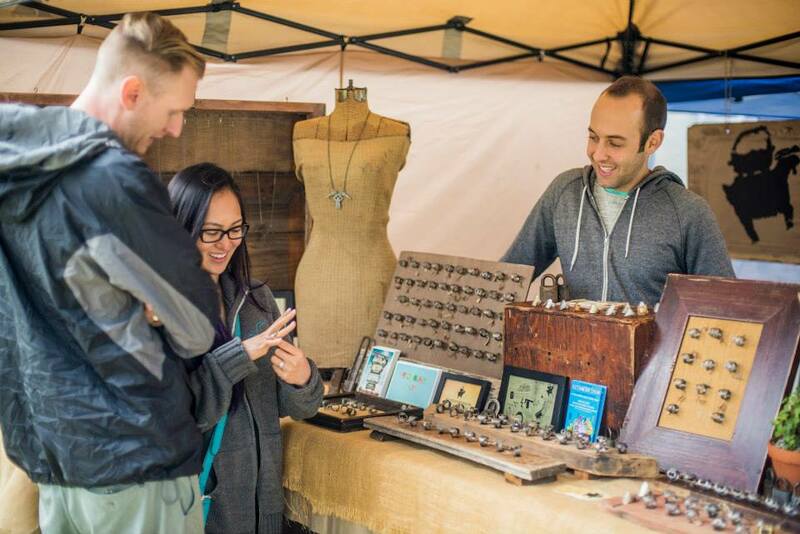 Jackalope Arts facilitates Special Event Permit purchases for all accepted vendors. Food Vendor Requirements: Vendors selling food products will be subject to a TFF Permit with the Pasadena Health Department. Jackalope Arts facilitates this TFF permitting process. It is suggested that all participating vendors obtain general liability insurance prior to vending. 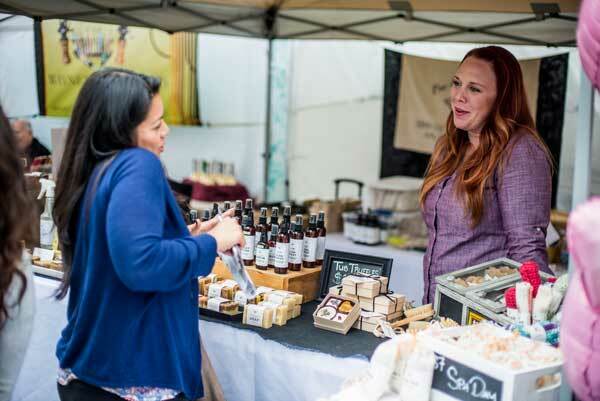 All participating vendors MUST remain set up for the entire duration of the fair. Our fair is OUTSIDE within the grass at Central Park. There is absolutely NO DRIVING on the grass! Each vendor is required to use a 10'x10' pop up tent for their space. Vendors with half-booths will be sharing a 10'x10' tent with a booth-mate. Tent, Table and chair rentals are offered for an additional fee. Special requests for neighbors and location may be stated in your application. Early bird applicants are given preference on these requests. Overnight security will be onsite between event days. Spring and Fall fairs DO NOT have electricity access. 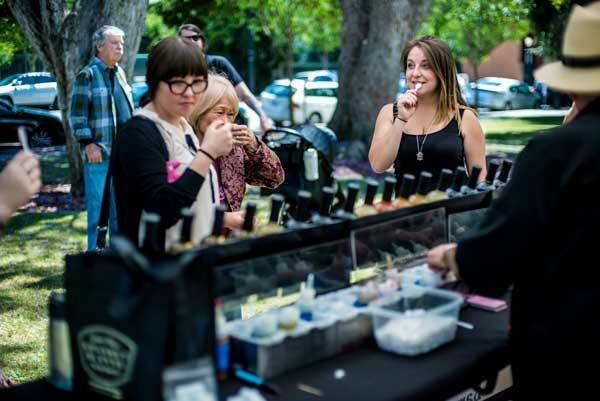 Pasadena Summer Nights booths will have electricity access for every artisan booth (20amps max per vendor). We expect to see 5,000+ attendees over the course of the weekend. I'm traveling for the fair, where do you recommend I stay? $15 non-refundable fee due upon application covers the costs for our staff and jury to review applicants. Upon your application, you may state a preference on a booth-mate. Each prospective vendor must submit applications individually. If you do not have a booth-mate preference, Jackalope Arts will place you with a complimentary vendor to share your space. On-site Prep Booth / Food Truck - 10% of total sales made payable at the end of the fair. $100 deposit will be due upon contract signing (This deposit will count towards your 10% fee). Special Event Permit: Permit cost is $51 for the event, or free if you already have a Pasadena specific annual business license. The permit process will be facilitated by Jackalope Arts. Food Vendor TFF Permit: TFF permitting ranges from $75 - $174 depending on your type of food sales. Jackalope Arts will help facilitate the proper TFF paperwork and payment. Take a look at our PRESS PAGE for some of the press action we've had so far. You will be notified via email regarding your fair application. Please mark vendors@jackalopeartfair.com in your safe sender list. Gmail users: check your "promotional folder" as well as your spam folder for filtered messages from us. Waitlist Applications: These applications will be notified only if a spot opens up for you. Please review our application page for dates associated with your application notification. How do I submit my booth payment? Booth fees are not due until you are officially accepted into the fair. You can make payment by credit card or check at that time. After you've been selected, you will have approximately two weeks to return a signed copy of our Artisan Agreement, along with your Booth Payment to hold your space in the fair. If either of these is not received within that timeframe, your space will be forfeited. Refunds will be considered until 3 weeks prior to the event. If you need to cancel you attendance within 3 weeks of the fair, no refunds will be made. Fees will not be refunded due to poor weather conditions.